Representative Honours: Ireland: 1 Full Cap (1939); Eire: 3 Full Caps (1939). Club Honours: (with St Bernard's) Rosebury Charity Cup Winner 1930/31; (with Clyde) Scottish Cup Winner 1938/39. Born in Ireland but raised in Scotland, Ned Weir began playing football with his local church side before joining Junior side Camelon where he honed his skills as a left-half. He spent three seasons with Falkirk but was largely a bit-part player before dropping down to the Second Division with St. Bernard's. It was while with St. Bernard’s that a Dublin football fan, Matt Murtagh, “spotted” Weir and, realizing his Irish qualification recommended him to both the Irish FA and the Football Association of Ireland. A steady and reliable half-back, he did not look particularly fast but possessed a deceptively long stride. As well as the attentions from Ireland, he was also drawing the admiring glances of Scottish First Division scouts and he moved to Clyde mid-way through the 1937/38 season. Honours came Weir’s way quick-and-fast towards the end of his first full season at Shawfield. In March 1939 he was awarded his first caps by both the IFA and FAI. In April he played in the Scottish Cup Final, Clyde seeing off Motherwell by four goals to nil. His season ended in May as part of the Eire party that travelled to Europe for a 2-2 draw with Hungary in Budapest and a 1-1 draw with Germany in Bremen – Eire’s final internationals before the outbreak of World War Two. 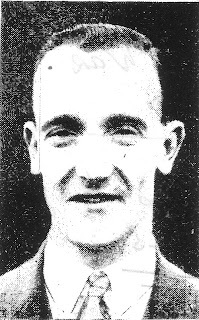 After the War Weir spent a season in the re-designated Scottish League Division B with Dunfermline before joining Raith Rovers as player-coach for the 1947/48 campaign. Finally, at the age of 37 Weir returned to Ireland to take up an appointment as coach of Dundalk. He played a single pre-season match for the Railwaymen, for the “Probables” versus the “Possibles”. He is largely credited with bringing a new level of professionalism to Dundalk, employing Scottish trainer-masseur Hugh O’Donnell and four Scottish players. By the end of his first season Dundalk had claimed the FAI Cup and Dublin City Cup and finished runners-up in the Dublin-Belfast Intercity Cup. The wage bill however left the club in financial difficulties and the team was quickly broken up. Weir left Oriel Park after just one more season. Summary: 3/0. Won 0, Drew 3, Lost 0. Thanks are once again due to Jim Murphy who provided the picture and much of the information on which this article was based. St Bernard's appearance details from St. Bernard's Football Club: Or When the Well Ran Dry! by George Henry Park. 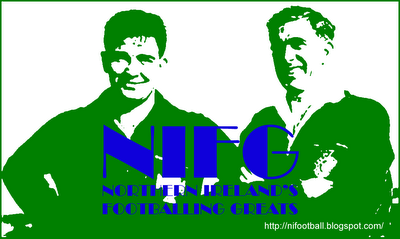 Thanks also to John Meffen (Falkirk FC Historian).